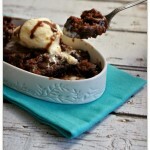 This hot fudge brownie cake was made for the slow cooker. It’s gooey and moist and ultra chocolatey. 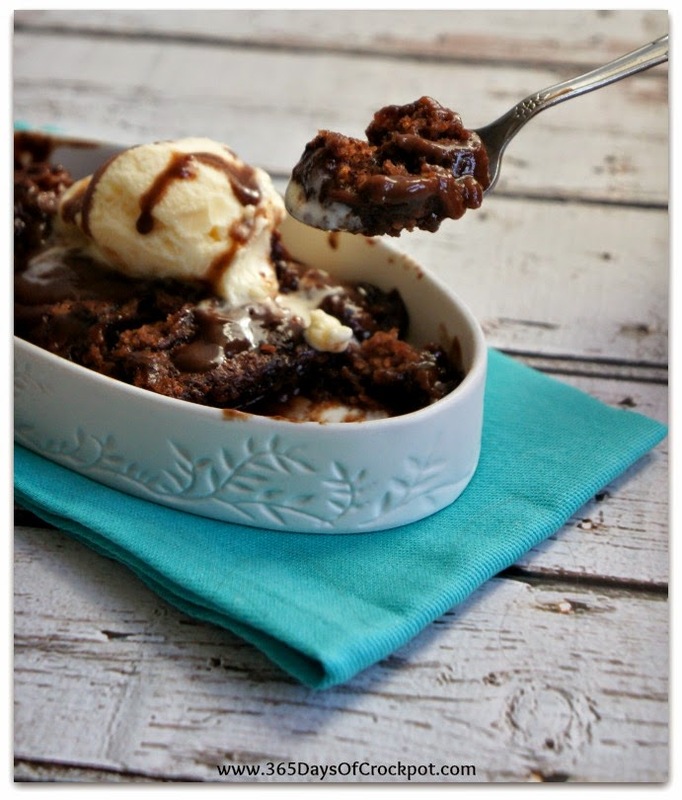 Serve with vanilla ice cream for an ultimate dessert with minimal effort! 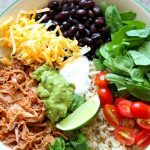 Pin this recipe for later! 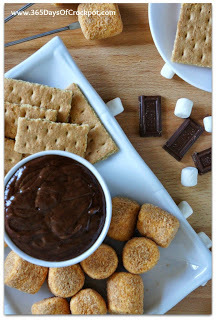 In a large bowl mix together 1 cup brown sugar, flour, 3 Tbsp cocoa, baking powder, and salt. Stir in milk, butter, and vanilla. 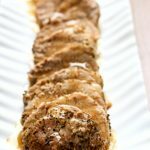 Spread over the bottom of a greased slow cooker. In a separate bowl, mix together 3/4 cup brown sugar and 1/4 cup cocoa. Sprinkle mixture over the batter in the bottom of the slow cooker. Warm up 1 3/4 cup of milk (or water) in the microwave. (I put mine in a glass pyrex measuring cup in the microwave on high for 2 minutes. It didn’t boil but was close to it.) Don’t stir the milk into the batter. 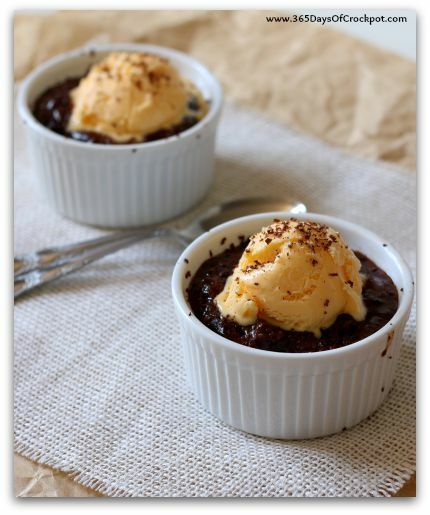 During baking, the top layer bakes into a cake and the bottom layer turns into a fudgy pudding/hot fudge sauce. Cover and cook on HIGH 2-3 hours or until center is almost set. Scoop cake out into a serving bowl. Drizzle with the fudge sauce that is underneath the cake part. Serve warm with vanilla ice cream. Homemade vanilla ice cream from Taste and Tell: You can’t go wrong with a classic! This Homemade Vanilla Ice Cream is custard based with real vanilla bean flecks throughout. I’m in a bit of a pinch. 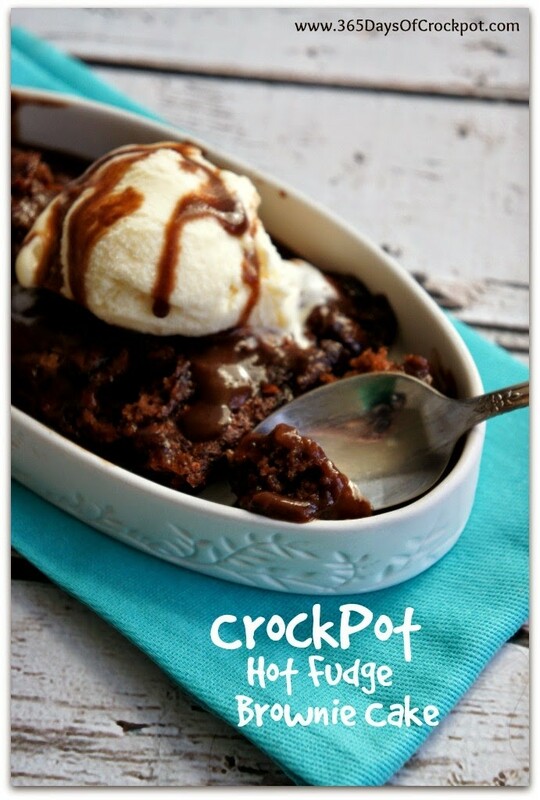 I want desperately to make this tonight but I don’t have any butter or baking powder. Can I use self raising flour, and is there anything I can use instead of butter? Vegetable oil maybe? Nevermind! I have the things I need to make my own baking powder, and I’m going to try vegetable oil in place of the butter. 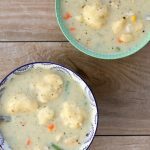 I made this tonight using Cup 4 Cup Gluten Free flour and it was delicious!! I shut off the slow cooker at exactly 2 hours on high, perfect! yes that would be amazing! I wouldn’t change a thing. Just stir 1/2 cup chocolate chips/pb chips into the batter. 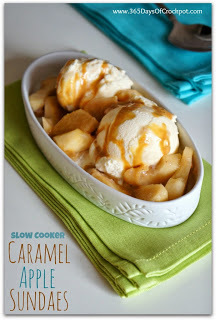 Can you make this in a 6 quart slow cooker without doubling the recipe? I remember this – box came with a free pan to make it in and brand wa Pye-O-Mye. It also came in a caramel flavor with nuts which was also super good. 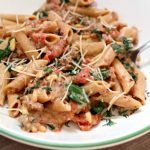 Can you replicate that recipe? 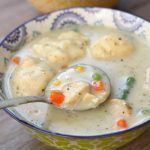 Can this receipe be baked in the oven, what temperature and how long? Yes you can. Bake in 9×13 pan for 40 minutes at 350. Just dump the milk in? I’ve made this a few times now. So freaking good and so easy! Is this a recipe that could be doubled or even tripled? I thought it would great for an upcoming party. Thanks Karen. I love your site. And I don't even have to heat up the kitchen?! I'm sold! I can see why you said this was good on Sunday afternoons. I just served it at work, and I need a nap! This came out really good. Great with vanilla ice cream. Did it-Liked it. Took it to a family get-together and it got eaten all up! Need vanilla ice cream with it! thanks! 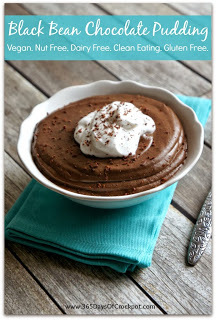 I thought this sounded like a perfect valentines day dessert for the family too! I now know what I’m gonna be making for Valentine’s for dessert! Holy cow yummy looking! I am going to have to give this one a try. I know that dinner time can be less than relaxing. Busy schedules and cranky kids and a hundred other things can lead to weariness when it comes to putting dinner on the table. I can help! 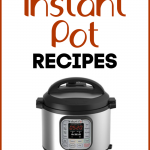 I make homemade, family-friendly slow cooker and Instant Pot dinners and share the recipes with you. Karen Petersen is a participant in the Amazon Services LLC Associates Program, an affiliate advertising program designed to provide a means for sites to earn advertising fees by advertising and linking to amazon.com.